András Rátonyi is a web professional with over ten years of open source website design and development experience. 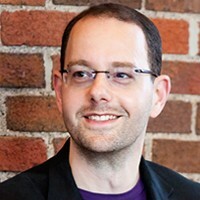 He started and manages Zentury Web Design, currently based in Cambridge, MA. His primary clientele includes nonprofit organizations and small businesses on both sides of the Atlantic. Between 2013 and 2015 András worked at the Tellus Institute in Boston. Before moving to the US he worked as a program manager at the Central European University and the Open Society Institute in Budapest, Hungary. Besides his IT work, he also works as a translator, editor, and proofreader for an international translation company. András earned his MA in English in 1999 at the Eötvös Loránd University of Sciences (est. 1635).